First bet of Bodegas Bianchi in Valle de Uco, a terroir with unique and very distinctive characteristics. With this decision to grow in a new type of soil, for the winery, commercially, means disembarking in a new port of Mendoza's wine industry. To create the image of this wine, there was a combination between the "promise of the new to come" and the "guarantee of tradition", resolved graphically in the element "terroir". 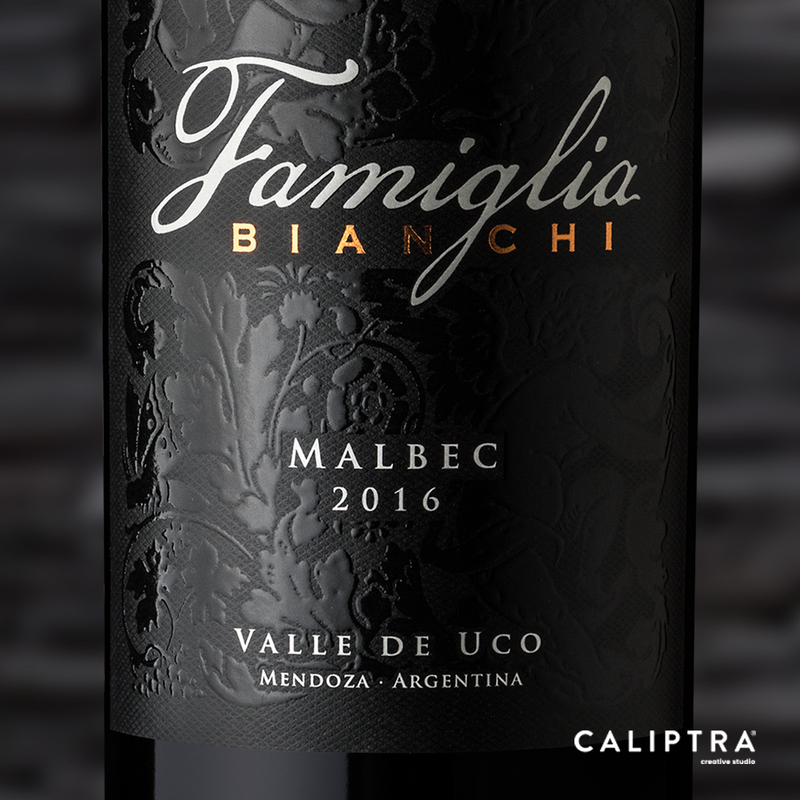 It took the characteristic miscellany of the wine line "Famiglia" and a redesigned of its elements as a background texture for the label. The technical elements such as the combination of flat gloss lacquer with stamping in copper-colored relief represent the stony ground of the soil. To enhance the coherence with pre-existing communication, the old typography was respected.